Natural gas switch from coal brings power plant emissions down | Watts Up With That? Power plants that use natural gas and a new technology to squeeze more energy from the fuel release far less of the greenhouse gas carbon dioxide than coal-fired power plants do, according to a new analysis accepted for publication Jan. 8 in Earth’s Future, a journal of the American Geophysical Union. The so-called “combined cycle” natural gas power plants also release significantly less nitrogen oxides and sulfur dioxide, which can worsen air quality. “Since more and more of our electricity is coming from these cleaner power plants, emissions from the power sector are lower by 20, 30 even 40 percent for some gases since 1997,” said lead author Joost de Gouw, an atmospheric scientist with NOAA’s Cooperative Institute for Research in Environmental Sciences (CIRES) at the University of Colorado Boulder. NOAA is the National Oceanic and Atmospheric Administration. De Gouw, who works at NOAA’s Earth System Research Laboratory (ESRL), and his NOAA and CIRES colleagues analyzed data from systems that continuously monitor emissions at power plant stacks around the country. Previous aircraft-based studies have shown these stack measurements are accurate for carbon dioxide (CO2) and for nitrogen oxides and sulfur dioxide. Nitrogen oxides and sulfur dioxide can react in the atmosphere to form tiny particles and ozone, which can cause respiratory disease. Combined cycle natural gas plants emitted 436 grams (15 ounces) CO2 per kilowatt hour. In combined cycle natural gas plants, operators use two heat engines in tandem to convert a higher fraction of heat into electrical energy. For context, U.S. households consumed 11,280 kilowatt hours of energy, on average, in 2011, according to the U.S. Energy Information Agency. This amounts to 11.4 metric tons per year of CO2 per household, if all of that electricity were generated by a coal power plant, or 5.4 metric tons if it all came from a natural gas power plant with combined cycle technology. The researchers reported that between 1997 and 2012, the fraction of electric energy in the United States produced from coal gradually decreased from 83 percent to 59, and the fraction of energy from combined cycle natural gas plants rose from none to 34 percent. That shift in the energy industry meant that power plants, overall, sent 23 percent less CO2 into the atmosphere last year than they would have, had coal been providing about the same fraction of electric power as in 1997, de Gouw said. The switch led to even greater reductions in the power sector’s emissions of nitrogen oxides and sulfur dioxide, which dropped by 40 percent and 44 percent, respectively. The new findings are consistent with recent reports from the Energy Information Agency that substituting natural gas for coal in power generation helped lower power-related carbon dioxide emissions in 2012. The authors noted that the new analysis is limited to pollutants emitted during energy production and measured at stacks. The paper did not address levels of greenhouse gases and other pollutants that leak into the atmosphere during fuel extraction, for example. To investigate the total atmospheric consequences of shifting energy use, scientists need to continue collecting data from all aspects of energy exploration, production and use, the authors concluded. Authors of the new paper, “Reduced Emissions of CO2, NOx and SO2 from U.S. Power Plants Due to the Switch from Coal to Natural Gas with Combined Cycle Technology,” are de Gouw (CIRES), David Parrish (NOAA ESRL), Greg Frost (CIRES) and Michael Trainer (NOAA). January 10, 2014 in Climate News, Coal, Energy, natural gas. Less emissions of what of consequence? ALL plants are so scrubbed as to not matter. All that really matters is how cheap the power supplied is, when it hits my bill (or the bill of poor folks). I really don’t care if it is coal, gas, nuclear, or frogs warts. Cheap, reliable, and available are what matters to me, and to industry. That we have a load of gas is nice, but that we also have a double load of coal is nicer. The higher you climb up the hydration ladder, CH4, CH6, CH12, the more the energy released from combustion is from Hydrogen bonds and the less from Carbon bonds. There seems to be more reserves of methane on our planet than can be accounted for by all the biomass that ever lived here. There is a distinct possibility that much of our crude oil was converted from methane by bacteria. This amounts to 11.4 metric tons per year of CO2 per household, if all of that electricity were generated by a coal power plant, or 5.4 metric tons if it all came from a natural gas power plant with combined cycle technology. That means that, by using natural gas, we are deliberately withholding 6 metric tons of CO2 plant food per household-year from the starving flora, planet wide! Oh, the botany.. and all the plants starving around here. The lowering of particulates and smog is great. But I question the measurements “on average” since coal plants are older and will not have been built with better technology that is available today. That emissions are down is good, but at first glance it looks like an apples-to-oranges comparison. Will Bill McKibbon and 350.0rg be lobbying the State of California to require a sign to be affixed to every house indicating the house use is one of the leading sources of of greenhouse gases in California according to the California Air Resources Board and that this poses a serious threat to the economic well-being, public health and environment of California? Yes, Yes, Yes. Natural Gas is the cleanest possible fossil fuel. But is burning Natural Gas in a base load power plant its best use? Just like we could burn oil instead of coal in a powerplane, oil is too valuable for generation power in a facility bolted to the ground. Coal is a fine fossil fuel if the flue gas can be scrubbed of particulates and major pollutants. That makes it suitable for base load power and little else. Natural Gas, on the other hand is excellent for peaking power plants, rapid load changes, and even transporation. Making Natural Gas replace coal is a politically questionable, economically silly, and environmentally unnecessary decision. It is long term folly to use Natural Gas and leave Coal in the ground. I second that. We need the cheapest price to power our economies. We need consumers with money in their pockets to drive the consumer markets. We need cheap energy for our industries and businesses to remain competitive. The entire Co2 emission BS must be dumped because it’s freaking plant food. The more Co2 in the atmosphere, the bigger the crops. Any policy directed at increasing the price of energy and reduce CO2 emissions should be regarded as an criminal act against humanity and all life on the planet. And here we have arrived at the core of the climate scam, the role out of UN Agenda 21. We can’t underline and explain this objective often enough. The objective of Agenda 21 is to manage and control humanity not only like any other species on the planet but as a pestilence, just like we control rats and and cockroaches. Sounds harsh but it’s as close to the truth as it can get. Stand up, resist, it’s them or us. Its just another add for the global warmists in an attempt to justify their collective fraud and keep the funding rolling in. CO/2 is not the problem the frausdsters made it out to be . Their own flawed models are telling them that. What’s it at now? 400+ ppm. and still no corresponding temperature rise. They now know the game is up. To “add” a couple of more gases to CO/2 in an attempt to justify the useless billions in cost incurred by the power suppliers. Who in turn wack those increased costs on my bills is a sick joke. You could reduce C0/2 by as much a you like. Its not going o lower the planets temperature. So why continue with this part of the fraud or for that,any part? For all the billions spent before this waste and for all the billions more on more waste that will be spent. What’s changed in anybody’s life that the global warmists/alarmist said would? I did learn last week that some sea snail may have trouble jumping of one foot to evade predators because of the high concentration of, wait for it CO/2 in the water. That little ditty probably secured the wizard lady’s funding for another year. I really am over this crap and just wish we could get a government to put these global fraudsters on trial. The truth will set them free. After they’ve done a bit of jail time. And THIS is what its all about……. And why the anti-coal AGW lobby is so heavily funded by BIG GAS !!! I agree, there may be other processes in play that we don’t understand. I remember a Russian research paper that proposed hydrocarbons are created deep within the Earth under high pressures, unrelated to organic inputs from the crust layer. Who knows? If true, hydrocarbons could be harvested from the planet for an extended period of time. This is the beauty of science. We think we’re so smart but we really don’t know what’s happening on the scale of climate. I say to visitors at my door selling their brand of religion: thank you. Well that is just about my reaction Leigh. Taking away the monetary reward for employment, gaining grants, the desired result seems to be artificially elevate the price of energy, and especially outlaw cheap coal power generation, this will cripple some economies and cause pain as users adjust to higher prices. Coal power generation of electricity in Victoria, Australia used to deliver power at 6 cents a Kwh at your meter. I noticed in one of the links in the comments on the cleantech issue from a person with oil industry background, that in some areas of the USA you are now paying 40 cents a KwH for electricity generated with cleaner gas??. My thoughts on all this, is who or what group of investors eventually gets their product/process into dominant place in the energy marketplace.!! The only real and significant electricity generation process is Nuclear once the market place and users adjust to pay the price. I have nothing against nuclear powered energy generation, though I favour small thorium reactor development as that can have a huge benefit to make electricity available to even the poorest country if that factor is even on any real agenda, instead of chest beating.!! If Nuclear generation is the eventual goal, stuff all this C02 nonsense and those governments that can still afford to invest in the future, dump the unreliable subsidized power generation and go straight to nuclear power, subsidize the building of competitive designs and may the best most efficient win. Otherwise the agenda 21 stealth way, is stifle economies, bring on a ruling elite and hide behind platitudes and wails about future generations, that for the life of me, they could not care less about as they seek to reap the rewards and control others. The best thing we can do is build our economies and continue helping others less fortunate. Australians are very generous people but we have a faux green movement who want to remove any capacity private individuals have to invent, employ, manufacture and market in the most efficient way possible, for a centralized control system under their green hand of regulation. It seems that is a common agenda. I agree with E.M.Smith on this. USA coal is being shipped to other countries and wood chips to the UK, so globally thermal power seems to be increasingly fungible. Meanwhile, oil in trains moves across North America with consequences. I do wonder about the net effect of human attempts to control carbon dioxide. Not that it matters much when Earth seems to have a different agenda? Below are linked photos of Mount Sinabung, in eruption, on and off, since September, and 24 times on Friday. I’ve not come across any numbers for the emissions of current volcanic eruptions – haven’t looked very hard either. UNFCCC, Agenda 21 etc..have been set up to give us international Marxism trough a climate treaty that creates global government. They will continue nagging about the end of the world until they get their international Marxism. So the nagging is a good thing? On the other hand Germany is pumping out more carbon dioxide into the atmosphere due to its increasing burning of lignite for electricity generation. France is against the use of fraccing and is thus denying job opportunities to its youth. The world is wondrously strange! Humor me; I’m not a chemist. What the blazes (pun intended) are CH6 and CH12. I always thought that Methane gave you the highest hydrogen to carbon ratio; well other than H2, and that the paraffin series asymptotically approached H:C = 2:1, but benzene (not benzine) gave you 1:1. Then somehow, Acetylene (C2H2) is also 1:1, but burns hot; presumably due to that triple carbon bond. But then, as I said, I’m not a chemist. So what does Gymnosperm know that I missed in school ?? Then alcohols and ethers just add water (H2O) to the gas, so it is already partly burned, before you put it in your tank. The most prolific anthropogenic emission from a power plant; nuclear, coal, gas or diesel is ENERGY. Just like that big ball in the sky – climate is primarily of consequence in that instance since it supports anthropogeny. Big message to all warmists and other piggies slobbering at the troughs of those who work – shut the f up, and start producing something of value to mankind! Actually coal’s share of electric energy has dropped from about 50% to about 35% today. It was never as high as this article states. The natural gas data is correct. Any and every fuel North of an Ice age ice line should be used first, this will give folks of the future south of the ice a chance. Wow, another third grade science paper. Who would have thought a new combined cycle gas turbine plant could outperform a simple Rankine cycle coal boiler from the 1940’s? Maybe if the regulators would let power companies make modifications to existing coal plants without major modifications when the window is broken the gap would not be as wide. Or maybe if people just burned natural gas in their hot water heaters and furnaces before turning it into electrons first the gap wouldn’t be as wide. Methane is clean, cheap, ubiquitous, and relatively easy to transport domestically via pipeline. It will also be the next target of the mean spirited green movement as is an eeevil fossil fuel. Prediction: Democrats will make it the next target once they have removed Nuclear, coal and oil. They disparately need a demon to attack to raise funds for power and control. They have a proven methodology and track record in these endeavors. Well it just isn’t enough now is it???! By the way, if methane is supposed to be a fossil fuel why are there lakes of it on Titan? Yes, E.M.Smith, you are correct. gymnosperm is confused about the chemistry. Methane (CH4) has the highest hydrogen to carbon ratio, MUCH higher than coal and all other hydrocarbons… So less CO2 is emitted (for the equivalent amount of energy produced) when natural gas is burned as a fuel. IF carbon dioxide emissions really were a significant problem, then natural gas and the oceanic methane hydrates would see increased use worldwide. This is already happening for various other reasons and, fortunately, it will continue medium and long term, whatever the global warmers say or do. But the more masochistic European countries like the UK may achieve some longer lasting self-inflicted wounds before the futility of the IPCC position is widely acknowledged. I think getting on board the methane train may be the most honorable exit for many in the English-speaking MSM. I’m sure this conclusion was pinned to the mast of Noah’s ark. I was at a presentation a couple of months ago that included information about a procedure that turned coal into what used to be called town gas by burning the coal in the seam. Most of it was way over my head but the bottom line was that it was very clean, relatively easy to do and there was enough coal under Scotland to provide us with cheap energy for a couple of hundred years. Apparently the South Africans used something like this during the time of the oil embargo and it worked. So presumably it will work anywhere. Sorry to be so vague but I have thrown out the papers I got at the meeting. Maybe someone else can enlighten. Is there more than one person who posts to WUWT as Oldseadog? I have repeatedly answered that question in WUWT threads. All studies of underground coal gasification have confirmed that it is not viable for the reasons stated above. However, governments repeatedly get suckered into funding studies of it because it is an ‘easy sell’ to those who do not understand its problems. Governments are easily fooled into funding such silly studies; e.g. they also keep being suckered into funding studies of ‘hot rocks’. Damn scientists, keep improving our lives! Who needs them I tell ya! Do you really need a study to establish this. Gas has a higher calorific value, so obviously more energy is produced per given volume. Meanwhile, back in the UK we are doing our utmost to delay shale gas extraction which if used for electrity generation would lower emissions, and we are closing down perfectly workable coal fired stations converting some of these to biofuels. Biofuels have considerably lopwer calorific value compared to coal, and thus actual CO2 emissions in the UK will rise. That is the green lobby for you in a nutshell. Protest against using something that would lower CO2 emissions, and lobby for something which increases CO2 emissions. Not that I am that concerned about CO2 emissions, but one would imagine that those who are concerned about such things would support energy programmes that in real world applications reduce CO2 emissions. I can just about understand that there may be people who oppose nuclear because of the inherent danger, but that does not explain why anyone would wish to pursue windfarms that do not reduce Co2 emissions because of the need for conventional back, nor why one would wish to switch from coal to biofuel which results in more CO2 emissions. Pure madness.gh . Further to what Richard Courtney has to say, I too have posted many times on the South African experience of turning coal into oil. The breakeven price use to be a little under $100 per barrel. Inflation will obviously have increased that figure somewhat. In the past I have suggested that because it is economically viable to convert coal to oil, at about the $100 per barrel mark, this will tend to keep oil prices down. Of course, there would need to be a lot of investment in new plant and technology, so that will allow oil to go up a little before the economics shift the scale, but if it were to hit and maintain a consistent level of say $130 to $150, many countries that have a ready source of coal may consider it time to invest in that new plant and technology. The reality is that with coal and shale gas, the world has many hundreds of years, if not a thousand years of suitable fossil fuels to meet all of its energy needs. Peak fossil fuel is not on the horizon, and of course, it is highly unlikely that coal or oil will be used in the 22nd century as base energy production. No doubt we shall have mastered something like fussion by then. There is no energy panic, and man should push full steam ahead using as much energy as he wants to make a better world, which better world will be achieved sooner if he pushes full steam ahead, rather than trying to restrict energy use. No that’s just The Rolling Stone on its suicide mission. Oldseadog: S.Africa does indeed produce fuels from coal but not by underground gasification. The company (used to be SASOL?) uses technology developed by the Germans to produce liquid fuels from coal (aka Coal-to-Liquids or CTL). They built up this capability during the embargoes of the apartheid era and have kept it going since. The main product these days is kerosene for jets. Aircraft fuel in SA is usually a 50% blend of CTL and oil-sourced. There’s a lot of argument about the economics – it is certainly not competitive when oil prices are low and fuels produced from cheap natural gas would undercut it too. I remember your post from a couple of years back but this presentation I was at recently claimed that they were talking new, or at least improved, technology. But I defer to your better knowledge and your response, and that of Richard Verney – that is what I hoped would happen, that people who were up to date would chip in with their take on the problem. Natural gas is about as clean burning as you can get, short of pure hydrogen. And gas fired plants should be cheaper to build too. If we really have an abundance of it then we should use it. But lets not use it all up producing electricity and not have any left for home heating. Also will the enviros shut down fracking and put an end to natural gas power too? Send down a steel pipe to get the energy out the ground and not risk the lives and health of human coal miners. Considering water vapour is a far worse ‘pollutant’ than CO2 are we not endangering our planet by burning gas rather than coal in our power plants? Coal tar soap, asparin, derived, by accident, from coal (Actually, some food colourings were derived from coal too in the past), a used by-product once. Most urban areas in the UK had “gas works” (And gas towers) and used coal to make gas, pretty much locally. Most of that was all shutdown in the 1970’s in favour of north sea natural gas (NSG). The UK has ~300 years of coal reserves, at least, and was mostly shutdown in favour of NSG in the 1980’s. So we had a system of locally produced energy, which was very dense and now we need to replace that with wind and solar, which requires massive land area to produce same? Two problems, CO2 is NOT a pollutant, CO2 does not drive climate. But I am all for getting a bigger bang for my buck. Using natural gas instead of coal in base load power generation as opposed to satisfy peak power needs is plain silly. The only way to justify it is to distort the category of “pollutant” to an umbrella term which includes CO2 which is not harmful to human health in any way along with SO2 and NOx, which are. No wonder that from this point on one can’t think clearly and make sound economic decisions. There are ways to decrease toxic emissions in coal fired plants, which of course have their own cost, but it is impossible to perform proper cost-benefit analyses in a flawed logical framework. Therefore a separate legal concept is urgently needed for non toxic emissions like CO2 &. H2O, but that can only be introduced by the legislative branch to limit executive transgressions like the the proposed EPA standard. With some trepidation that we may seem to be conducting a mutual support compact, I write to support your post at January 11, 2014 at 2:03 am. As you say, the ability to convert coal to synthetic crude oil (syncrude) constrains the true maximum cost of crude. You mention the South African (SA) method for converting coal to syncrude. This SA method is the Sasol process developed from the German Fischer-Tropsch process. The Fischer-Tropsch process was developed more than a century ago so syncrude from coal has been technically possible for a long time. Germany used syncrude from coal during WW2 and apartheid South Africa used syncrude when embargoed. In both cases this was because their supplies of crude were curtailed. Until 1994 syncrude was more expensive than crude. The cost of drilling and transporting crude was less than the cost of mining, transporting and converting coal to syncrude. But at the UK’s Coal Research (CRE) we completed research, development and demonstration of the Liquid Solvent Extraction (LSE) process for converting coal to syncrude in 1994. And the LSE process enables syncrude from coal to be economically competitive with crude. We invented and developed the LSE process at CRE then proved the technical and economic performance of LSE using a demonstration plant at Point of Ayr in North Wales. The surprising economics of LSE derive from two factors. LSE consumes sulphurous oil refinery bottoms which have disposal costs. The LSE process can be ‘tuned’ to adjust the hydrocarbons it produces. An oil refinery separates the contents of crude to provide products for sale. And a refinery needs to output products in proportions which match market demand; e.g. an output of gasoline must not produce too much or too little benzene. This match to market demand is achieved by blending crude oils from different places (different crudes contain different proportions of hydrocarbons) and separating the contents of the blend. Blending has costs, and the ability of LSE to be tuned reduces those costs. So, using LSE syncrude reduces costs of refining in two ways, and these reductions are greater than the costs of converting the coal to syncrude. CRE was indirectly owned by UK government and details of the LSE process became intellectual property of UK government when CRE was closed (as completion of the closure of UK coal industry) in 1995. Those details are now a state secret. The importance of this to the UK is demonstrated by the fact that CRE was the last part of the UK coal industry to be closed (except for the administrative Coal Authority). A closing industry usually shuts is research first – not last – but CRE was not shut until after it had completed full demonstration of LSE. Brent crude is the most valuable crude because it blends (~1:2) with Saudi crude (i.e. the most available crude) to provide refinery products which match market demand. Hence, the value of Brent crude has great importance for the UK economy and balance of payments. Adoption of LSE would require large investment in infrastructure so would not be warranted unless there was a long-term increase to the cost of crude. Also, the UK now produces little coal. Hence, the existence of the LSE process has strategic value to the UK because it constrains the true cost of crude. But adoption of the LSE process would harm the UK economy. In the events that Brent crude exhausted and also that the long-term cost of crude increased above the cost of LSE syncrude then the UK could be expected to license the LSE process for use. Until then, the existence of the LSE process constrains the maximum true cost of crude and removes fear of ‘peak oil’. There is sufficient coal to meet world need for both coal and syncrude for at least 300 years. Energy for transport depended on hay for horses 300 years ago (n.b. not crude). Nobody can know what – if any – demand for crude will exist 300 years in the future. There is lots and lots of natural gas all across the world. There are some places that don’t have it, but it is far more widespread than oil or coal is. Some general regions have so much that they will never run out. It can be transported by pipeline across a continent or shipped across the ocean liquefied. What’s not to like. And it quite safe to use and transport. It is piped throughout many cities, into virtually every home in those cities and is becoming more common for cooking stoves for example. Burn something right on your counter-top? And it can be stored relatively easily in large underground caverns for many years and pulled out when it is needed. What’s not like? So home heating, home energy use, industrial processes, the obvious solution. Foe electricity production, however, it is not as prevalent. I know some of the earlier turbine designs were not that efficient, broke down more often, sometimes didn’t ‘t even work after they were built and they are normally much smaller. The area coverage is much smaller so you need more of them disbursed around. This presents a reliability of supply problem and then one needs more back-up capacity. For a particular area, one might need to build two turbines, one for back-up, one for normal usage. Then it takes time to bring a back-up turbine into operation. The power is out for hours at a time which is not the main purpose of reliable electricity. A large coal-fired plant does not have these issues. Maybe the newer turbine designs have found ways around these problems. Would it be easy to convert an existing refinery which processes N S Crude to process LSE syncrude? then the answer is, Yes. then the answer is, That would depend on circumstances; e.g. available physical space at the refinery. Please remember that the UK is now a net exporter of North Sea Oil and is a net importer of coal. Also, coal is almost entirely used for power generation in the UK and the UK is closing its coal-fired power stations. So, oil is now much more important to the UK economy than coal. I hope that is what you wanted. The Met Office have had second thoughts, and they have decided avid Cameron was right after all. With the news that the government is planning two new cities for Britain, that means lots more concrete, more flooding and even more ‘climate change’. I despair. CO2 is PLANT FOOD not Pollution. How come the article does not mention that switching from coal to natural gas is going to increase the cost of power by a factor of five to ten times! The Broken Window Fallacy anyone? So IF, I repeat IF it became advantageous, Grangemouth and Tees Side refineries could process the coal underneath them and use the existing dock facilities for distribution? Well, hypothetically, I suppose so. But before I were willing to provide a proper answer I would need much more information about the coal seams, their accessability, the local geology, and the dock facilities. This is not an evasion. It is simply true. … there is definitely a great deal of economic ignorance out there. Partly it is actually furthered by statist propaganda and obfuscation. For instance, the average citizen is not supposed to question the centrally planned monetary system, and neither is he supposed to actually understand how it works (hence what is actually a pretty straightforward operation has become a fairly complex variation of the Three Card Monte, designed to obfuscate the system’s inherently fraudulent nature). … few imperial elites give up the No. 1 position without a fight. As they see their power, their status and their wealth challenged, they typically find a casus belli, hoping to stomp the newcomer before it is too late. “When a rapidly rising power rivals an established ruling power, trouble ensues. In 11 of 15 cases in which this has occurred in the past 500 years, the result was war. From an economic point of view, the system (established by Richard Nixon in 1971) is loopy. The Chinese pretend they have good customers. Americans pretend they have good credit. And everyone pretends to get richer … based on promises to settle up sometime in the future. In practice, nobody wants the day of reckoning to come. Because they all know that there are vastly more claims on tomorrow’s output than tomorrow can satisfy. Between 1971 and today, roughly $10 trillion more has been received by Americans in goods from overseas than has been shipped to foreigners. That money is an outstanding claim on US existing wealth and future output. To pay off these claims, the US would have to run a surplus. (When? How?) But instead of running a surplus, we run deficits. The federal government’s deficit, for example, is expected to be $744 billion this year. And the current account deficit is running at about $500 billion. Neither is near a surplus…. Seems our politicians work for China not the USA. R. de Haan says: January 10, 2014 at 10:08 pm “Karl Marx is back: …” Karl Marx never left, and is deeply ingrained in the Western reality beyond even economics. Now there are words of wisdom! What idiocy. It is economic suicide to base energy policy on “carbon” emissions. Coal is needed as a base, to help keep NG prices in check. Look what is happening now. 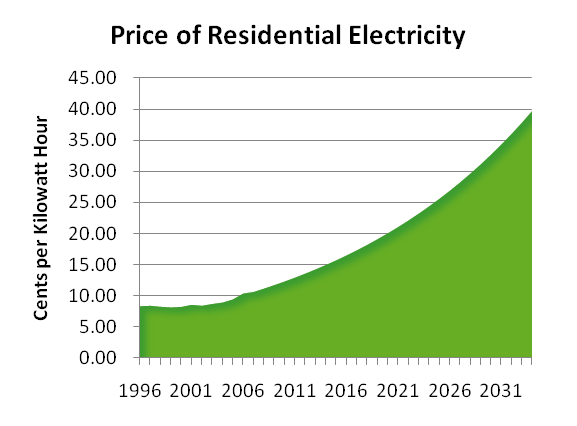 With demand for NG up, prices are spiking, and so are electricity prices. Well, I have be transported on a CH 46 and a CH 53 so perhaps they are earlier, smaller versions. Karl Marx never left, and is deeply ingrained in the Western reality beyond even economics. Socialism is the preferred politics of bankers and the corporate elite. E.M. Smith explains why HERE. The words of French Socialist Pascal Lamy former Director-General of the World Trade Organization. He has been tapped to run for head of the EU. ….In the same way, climate change negotiations are not just about the global environment but global economics as well — the way that technology, costs and growth are to be distributed and shared. Can we maintain an open trading system without a more coordinated financial system? And finance is not the only area where domestic issues are turning into global concerns. Countries claim the right to use national resources as they see fit. But the byproduct can be greenhouse gases or disappearing fish stocks or raw material shortages — which impact the interconnected world we share…. The reality is that, so far, we have largely failed to articulate a clear and compelling vision of why a new global order matters — and where the world should be headed. Half a century ago, those who designed the post-war system — the United Nations, the Bretton Woods system, the General Agreement on Tariffs and Trade (GATT) — were deeply influenced by the shared lessons of history. Oddly, you can look at Communism as the “limit case” where there is ONE corporation and it IS the government. At the other extreme is “laissez faire” with huge numbers of competitors. As you move toward Communism you pass through stages of ever more “concentration” of control. Just shy of communism is Classical Socialism with it’s state planning boards and commissions. A bit more toward L.F. you get “Market Socialism” (with some sub-types in between). The USA until about 1990 was a “Mixed Economy” with some “natural monopolies” under government “control” via “regulation”; and with many competitive markets. We’ve moved to more central planning and more central “regulation” (in some cases as a cover for the “planning” word that has gotten tied to Socialism… so is political to some extent). With the nationalization of GM and the bank “bailout” / “rescue” that was really more of a ‘take-under’ in some ways; we moved to a Lange Type Socialism. One big difference between natural gas and coal is that natural gas seems to be a “just in time” type of fuel (being a gas, not easy to store without liquefying it) while coal plants can stock up a big pile of coal that can last for a few months. Weren’t New Yorkers just complaining that the price of natural gas jumped several fold during the cold snap and rate payers are going to have to suffer a rate increase? Do people really want to go to all natural gas electricity for the CO2 reduction if a few cold snaps breaks their local economy? Mods, two of my comments got booted into the ether a while ago can you fish them out? Notice, too the tactic of conflating NO and SO2, which are actual pollutants with the fake one of CO2. Those actual pollutants may have been of some concern previously, but with the addition of scrubbers and with the newer plants, not so much. Here in Ontario the coal plants are all but phased out. I’m waiting for the measureable drop in deaths attributed to coal-fired generating stations. Two things: One, combined cycle is not a new technology. It was being used on natural gas peaking plants in the 70s and probably before. Maybe there are some improvements, but its not new. Two, I understand that because of the warm up times associated with the auxiliary boiler and the NOX control systems (you can’t operate the NOX system for a period of time in the warm up), that this technology is not permitted when the natural gas turbine is used for wind and solar backup (instant on and off). That is not a very good explanation, I know. But the point is that natural gas turbines are the technology of choice for backup generation, and combined cycle is not permitted by regulation to be part of that mix. It is far more efficient, as it captures waste heat with a boiler and runs the steam so generated through a steam turbine. Gail, the cost of power has several components. Obviously the cost to build and operate the plant, and the cost of distribution infrastructure, are part of the total. However, for all fossil fuel plants, the cost of fuel is the main long term cost driver. Combining fuel as well as other costs for all types of plants typically run ~$0.05 per kW-hr, and this includes coal and gas. Now plants typically run for several decades before major repair/replacement. Using 30 years as typical, a one MW capacity of average use produces 262,000,000 kW-hr of energy, costing over $13,000,000. This energy is sold for about $0.10/kW-hr, for a total of over $25,000,000. Compared to these, the cost of building the plant for $357 per MW is irrelevant. I do not understand where you get the factor of 5 to 10 times, as it is not in the net cost. I don’t understand where they got their dta that shws 89% electricity production from coal formerly. Every figure for electric grid production showed around 52% before and now less thn 40%. Since nuclear is always cited as providing 20% of our elecricity, any claims for 89% from coal (not to mention the 11% we supposedly get from hydro) are not fathomable. What exactly are they referring to? Anthony, I’m at the Holiday Inn off 99 today for a meeting. If it’s convenient for you, it would be nice to say hello in person (you have my email address). I passed through town once going home from Susanville. This is the first time I’m here actually doing something. Nice place. I can see why you like it. Back on topic, I’m not sorry we are seeing reductions of emissions of mercury, thorium, uranium, and other metals from burning less coal. That said, coal is the one factor historically keeping electrical energy prices low. I remember writing to Bush 43 you can’t have both a strong economy and reduced CO2 emissions (without committing to much more nuclear energy). Here we have another case of the unknown known (extending Rumsfeld), or in the words of Reagan, “It isn’t so much that liberals are ignorant. It’s just that they know so many things that aren’t so.” Apparently, they want us to live a very meager existence, but they don’t imagine themselves doing so. I hope Hollywood is starting to see the connection between low ticket sales, a poor economy, and supporting Democrats. Not that I’m enamored of the current crop of Republicans, at least the national leadership. Interestingly, the CA legislature had a chance to severely restrict fracking in the state, but not even a Democrat majority would do it. They have only passed a reporting and permitting law (http://www.huffingtonpost.com/2013/09/21/california-fracking-bill_n_3965069.html). I guess even those dodos in Sacto see the economic benefit to the state’s economy, which translates into increased revenue to fuel the bloated bureaucracy, and the eventual benefit of increased campaign contributions from their union minions. Could it be a monetary interest deafens these officials to the screeching and whining from their more radical constituents? Is it possible they could be so self-serving? @John F. Hultquist. Volcanos emit around 300 million tonnes of CO2 per year (1% of human emissions) according to SkS or more than 130 million tonnes of CO2 every year according to the USGS. Volcanos mostly emit water vapour and I suspect that both coal-fired and gas-fired plants do too. So if water vapour is a greenhouse gas like CO2, then why isn’t it also a pollutant? @Gail Combs: The PJM market clearing price numbers sound more like entry prices for peaking plants in their day-ahead market, not baseload pricing. From the link, it appears that this discussion was peaking and that they can do very nicely at that entry price and take capacity payments the rest of the time. A lot of combined cycle natural gas peakers expect to operate <1000 hours per year. Entry prices are all over the map, are node dependent and are mostly set by the producer. For example, the entry price for electricity generation from landfill gas in the PJM varies from ~$35-$70/MWh, depending on node and emissions restrictions. The entry price of diesel generation (peaking) is north of $250/MWh, based on the cost of diesel and other costs. During the cold snap this week, the PJM hourly prices went as high as $2500/MWh and stayed between $1000-$1500 for quite a while. The price is demand based. It payed to run diesel plants. I've also seen the price at -$1,000/MWh. It made running a stack test very expensive. The Dept of Enegry statistic I’m looking at, for the US for the year 2011 shows for total electric power production : 4,100,656,000 MW hours and from coal 1,733,000,000 MWhrs, which means 42% of power came from coal. And also 25% from natural gas 20% from nuclear, 8% from hydro. Interesting statements… do you have links to the numbers you are using? This article is disappointing in a number of ways. First and foremost it comes from an academic institution that should have higher standards than in the article. They make combined cycle generation sound like something new. Those plants have been around for quite some time. Pollution reduction is mostly “carbon” and with an oh, by the way, NOx and SO2. One has to assume “carbon” (carbon dioxide) is a real pollutant, not a pollutant by regulatory fiat. Also, CO2 emissions by fuel are based on the carbon content of the fuel AND the amount of energy required to generate electricity (aka, heat rate in BTU/kwh). Natural gas wins. It’s heat rate is about 80% of coal and it has a much lower carbon density. They get to NOx and SO2 reductions as an aside. NOx production is primarily a function of combustion temperature and combustion pressure. SO2 is fuel sulfur content. Natural gas does better on both because you can, if needed, easily scrub sulfur from the gas at a moderate cost. Both generation types will be required to have exhaust NOx treatment, usually selective catalytic reduction, making the NOx emissions about even. Neither can be installed if they result in violating a national ambient air quality standard, even short term. It should come down to which energy source provides the least expensive energy. According to EIA the O&M costs for coal is significantly less than natural gas combined cycle. The levelized costs are higher. That depends greatly on the regulatory environment and the cost of fuel. Not long ago natural gas tracked diesel and was at ~$12/MMBtu. Due to fracking, it dropped to $2-$4/MMBtu. Natural gas is a much more attractive fuel until the price goes back up. George e. Smith, you are correct in that methane has the highest hydrogen to carbon ratio in hydrocarbons. Gymnosperm’s words were correct but his formulae were not. Natural gas is particularly prone to major price increases and price spikes. It tripled from $2.88 in 1999 to about $8.50 in 2008, spiking to $12.48. The present shale gas boom requires a “Red Queen” effect strongly increasing drilling just to maintain production. This makes the whole country exceptionally dependent on an unreliable source with massive consequences of price spikes. Natural gas is far more valuable for residential and commercial applications where it is difficult to use coal. Demanding we move off coal to gas is the height of foolish political correctness that will make us dangerously dependent on unreliable natural gas. France is becoming a bigger energy provider in the UK with nuclear plants and now shale gas. In past ages French was the language of our aristocracy – now it is becoming the language of our electricity. The way I see it (during the time period specified), as the coal power plants aged and the EPA increased the emissions requirement on them, some of the power plants had scrubbers added to them to meet the requirements while others were decommissioned and new plants built in their place because it is cheaper in most cases to build a new power plant to meet the new requirements than it is to outfit the plants with scrubbers. This is why in the next several years (this is what I heard from my neighbor that works for APS) there will be two less coal fired power plants in Arizona with no proposals to replace them. Talk about a lot less power to sell to California. It seems that this particular article didn’t bother to point out that the switch was due to the increasing emission requirements on power plants and nothing to do with better efficiency of one style over another. Decommissioning working coal plants is a stupid, greenie-driven waste. These are built to last many, many decades. All long ago had electrostatic precipitators installed (in the US). That had already addressed 90% of any “pollution” concerns. I write to add detail to your post at January 11, 2014 at 6:26 am. Importantly, I explain why expensive gas turbine operation – not cheaper combined cycles – are needed to provide back-up to meet rapidly fluctuating demand for electricity. A steam turbine cycle uses a steam turbine to obtain energy from heat. A gas turbine uses a gas turbine to obtain energy from heat. A combined cycle uses a gas turbine and a steam turbine to obtain energy from heat. The heat is supplied to an operating fluid which is supplied to a turbine. A steam turbine uses superheated steam as its operating fluid. And a gas turbine uses hot gas (often combustion product from burning natural gas, i.e. methane) as its operating fluid. Extracting heat from the operating fluid lowers the temperature of the fluid. So, energy that can be obtained from the fluid can be increased by increasing the temperature of the fluid supplied to the turbine. The gas supplied to a gas turbine can be much hotter than the steam supplied to a gas turbine. This is because available materials for making turbines constrain the maximum input temperature of steam turbines. Thus, a gas turbine is more efficient than a steam turbine because the operating fluid supplied to the gas turbine is hotter. However, steam turbines are inherently more efficient than gas turbines at converting heat to energy. This is because of the differences in viscosities, densities and thermal capacities of steam and the gas which the turbines use as operating fluid. A combined cycle uses these facts to obtain greater efficiency than a gas turbine or a steam turbine alone. High temperature gas is supplied to a gas turbine and the output of gas from the gas turbine is used to boil water and to superheat the resulting steam which is supplied to the steam turbine. In a combined cycle both turbines operate at less than their maximum efficiency. The gas turbine outputs gas hotter than it could be, and the steam turbine is provided with gas less hot than it could be. But the performances of the two turbines are optimised such that their combination provides more efficiency than either could alone. Additionally, topping cycles exist. In these the gas turbine and the steam turbine each operates at its maximum efficiency. This is achieved by using additional fuel to increase the temperature of the steam supplied to the steam turbine (i.e. a ‘topping’ of heat is supplied to the steam). The reason that gas turbines are used as back-up to match peak electricity demand is because they can start-up very fast. They are supplied with gas which is ignited so instantly obtains turbine input temperature, and the turbine rapidly reaches operating temperature. This use of gas turbines is necessary but gas turbine plants provide much more expensive energy than combined cycle plants because combined cycles are much more efficient. But steam turbines, combined cycles and topping cycles each need to boil their water and to superheat the steam before they can achieve operating temperature. (Anybody who has boiled a kettle knows this is not instant.) Conventional coal-fired power stations (pulverised fuel, PF, plants) operate steam turbines so take days to start-up from cold. PF plants operate spinning-standby when used as back-up. In spinning- standby a plant burns its fuel to boil the water, to superheat the steam, and to maintain its turbines and etc. at operating temperature. Spinning-standby is very expensive. Why on Earth would you want to reduce co2 emissions when it is so beneficial? Ask an honest geologist whether co2 in the atmosphere is by geologic standards currently high, median or low? Low is the answer you will get. As for power plants I don’t care what they burn as long as it’s the most economical AFTER reducing real pollutants like nitrogen oxides and sulfur dioxide. Co2 is not a pollutant no matter how hard they pant, huff, puff and wave their arms. Finally, given the fact that Warmists are so concerned about co2 shouldn’t they be going mad for gas fracking? Of course not, reducing co2 is not their real agenda. …. I do not understand where you get the factor of 5 to 10 times, as it is not in the net cost. What is the cost for new production for 2015? $136 per megawatt, $167 per megawatt, $357 per megawatt. This is the already agreed on price not something pulled out of calculations. If you paid $160/month for electric and Obama succeeds in his plans your cost is 60% at the old price plus 40% at the new price. That is $96 for electricity from old capacity plus between $544 and $1428 for electricity from the new capacity. That means your bill went from $160 to 640 IF you are lucky or from $160 to $1524 if you are unlucky enough to live in Ohio. Do you think the people in Ohio are going to care about your ” net cost” when the actual cost of shutting down their coal plants hits their bills? Ohio ‘ahead of the curve’ for closing coal-fired power plants says Union of Concerned Scientists. The worst of the problem is the plants are closing faster than the US government thought they would. More than 34 gigawatts (GW) of electrical generating capacity are now set to retire because of the Environmental Protection Agency’s (EPA) Mercury and Air Toxics Rule (colloquially called Utility MACT) and the Cross State Air Pollution Rule (CSAPR) regulations. Most of these retirements will come from coal-fired power plants, shuttering over 10 percent of the U.S.’s coal-fired generating capacity. This report is an update of a report we issued in October 2011. Last October the original report, we calculated that 28.3 GW of generating capacity would close as a result of EPA’s regulations. At the time,we warned that “this number will grow as plant operators continue to release their EPA compliance plans.” Unfortunately, this statement has proven to be true. This update, a mere eight months later, shows that 34.7 GW of electrical generating capacity will close—a 6.4 GW increase. No new conventional power station can be built before 2015, or 2016 because of planning and red tape. It is just impossible to build something up and running before then. The only short term option is to recommission mothballed conventionally powered generators. That is a stark fact. Just what we need rolling blackout in coming winters because the “Planned Economy’ Third Way idiots royally messed up. Apparently, this study is only referring to those power plants that burn somethng and does not include any other type of electrical power plants or generators (nucear, hydro, wood, etc). This article is therefore quite misleading. Leonard, we are told the cost of building a gas- or coal-fired generating station is $800 to $1.2 billion. If your numbers are correct and the cost of the energy over the life time of that plant is only $25 million, then (as Gail Combs claims) construction of the plant far outweighs the operating costs. Certainly Grangemouth could handle any product – the Forth currently handles over 50M tonnes of crude export and product export per annum and Longannet pit would still have been producing coal but for the terrible flood a few years ago – but all hypothetical as you say. $800 million to $1.2 billion. One big difference between natural gas and coal is that natural gas seems to be a “just in time” type of fuel (being a gas, not easy to store without liquefying it) while coal plants can stock up a big pile of coal that can last for a few months. Yes, that’s a concern for me. Gas plants have to rely on an instantaneous supply of pressurized gas, powered by compressors upstream in the supply pipeline. If power goes out on the compressors — that’s it. Coal is stockpiled and can supply power independently, for weeks at least. Richard–You are very right, and went into far more detail than I. The point I was trying to make is that as back up generation to renewables, primarily wind, the combined cycle function is not permitted by the EPA, as these plants (gas turbines) reach high enough temperatures that many require NOX control, and the warmup times associated with the waste heat boiler is not compatible with using the NOX control system. So the waste heat boilers–the second part of the combined cycle–can’t be used and that efficiency is lost. But your description of the operation is excellent. Thankyou for your post at January 11, 2014 at 7:58 am. Yes, Longannet pit supplied its coal directly into the power station via a drift. True efficiency. I still possess a set consisting of an engraved silver hip flask, an engraved whisky glass, and a small bottle of whisky which Longannet pit presented to me when I accepted an invitation to visit them long. long ago. Thankyou for making me recall the memory although it is tainted by the loss of Longannet. Decommissioning working coal plants is a stupid, greenie-driven waste…. Agreed although we need to build new generating capacity. Congressman Ralph Hall of Rockwall Texas was at a deal where this poster and others were at early today. He advised to me that he and other Congress members have evidence of $ being frowarded to most if not all of the people who signed the consensus letter. I will be at a deal with Senator Ted Crus around 11:00 today before one of his town hall deals. I will pass the info to he/his staff and make sure Ralph’s info is in the hands of Ted Cruz also. Thankyoui for your emphasis of your point in your post addressed to me at January 11, 2014 at 8:02 am. I copy from your post to add support for the importance of your point in case others missed it. The point I was trying to make is that as back up generation to renewables, primarily wind, the combined cycle function is not permitted by the EPA, as these plants (gas turbines) reach high enough temperatures that many require NOX control, and the warmup times associated with the waste heat boiler is not compatible with using the NOX control system. So the waste heat boilers–the second part of the combined cycle–can’t be used and that efficiency is lost. Hopefully, the importance of your point has been exemplified by my brief introduction to the reasons for the different thermodynamic cycles. Of course, I could now explain the issues of SOx and NOx and the various power plant technologies to address them, but I see no value in doing that here. The important issue is that intermittent renewables are expensive and pointless addition to power generation and they raise costs of grid operation for several reasons an important one of which you have explained. Beng – I know that SOME natural gas pipelines burn natural gas to power their compressors. But I suppose that now THOSE must have EPA compliance as well, so maybe gas transport is also screwed up. Things could really get interesting if fossil fuel transport had to be powered by renewables. Please don’t pass this concept on to the “regulating” class…. Is there dangerous, catastrophic global warming going on? It does not seem that is the case; global temperatures are lower than forecasted by GCMs and have gone down to zero increase or even a slight cooling trend. Is there dangerous, catastrophic global cooling going on? No, but but cooling seems to progress more rapidly than warming in the geological records, so we’ll have less warning from temperature measurements. Could we stop or even slow down either of these? It seems to me that the amount of CO2 in the air does not positively affect the amount of water vapor, and that it is the shading by clouds that dominates the energy input/output, not the delaying of outgoing long wave radiation that water vapor and to an incredibly lower extent CO2 causes. So, adaptation makes sense, not mitigation. Adaptation requires energy, lots of energy, cheap (not just affordable) energy. Adaptation requires inventiveness; Freedom, not regulation. Good information, not lies. And in Europe, their climate/enviro madness has led tothe refusal to develop natural gas. Due to the inevitable, predicted failure of wind and solar, and the irrational fear of nuclear, Germany is now returning to coal. @Gail Combs: The PJM market clearing price numbers sound more like entry prices for peaking plants in their day-ahead market, not baseload pricing…. Electric generation rates throughout New England are facing steep increases in 2014, pushing power costs in Connecticut close to 20 percent higher for some residents. The RPM establishes contracts with suppliers who commit to make their facilities available to provide electricity for the PJM system for a year. Prices are established through competitive bidding…. The prices range from $136.00 to $357.00 for the year 2015/2016 and $59 to $219 for the year 2016/2017. Sure doesn’t look like they are talking about only energy need for peak. Oh goodie. We had widespread sporadic power outages here in the Deep South with that last Arctic Outbreak. I’d expect more with the next Arctic Intrusion this weekend! CCGT is intended for base load, with individual units ranging from about 400MW to now 700MW. A newer Siemens 680 MW unit actually achieved 61% efficiency averaged over a year (2012). Supercritical coal is at best 41%, and the US coal average is 34%. It is mostly older, least efficient coal plants that are being shuttered, since uneconomical even though depreciated. CCGT takes three years to construct and has a capital cost about 2/3 that of equivalent new SC coal, which takes 4 years to construct. The switch from baseload coal to base load CCGT is being driven by economics. Faster to build, less capital, much higher efficiency, lower fuel cost even if gas prices go back above $6 by 2015, which will be the general area needed to keep the fracking supply steady or increasing due to the steep individual well decline curves of shale gas. The data cited places the decrease from 1997 83% coal to 2012 59%. Based on everything I’ve read in the above comments, I believe I can see power blackouts in this nation’s future with the huge costs to the economy to go along with it. If and when it happens, it seems quite clear that the EPA and Obama will be to blame. The idiocy of ill-conceived and poorly thought out government regulations and agendas will get you every time. And the worst part of it will probably be that the MSM in this country will blame anybody but Obama and the EPA for it. In your post at January 11, 2014 at 8:57 am you say of the US situation. You may be right, but I would welcome more information before I agree. A nuclear plant provides electricity with negligible fuel cost because capital, operating and decommissioning costs are almost all its electricity cost. A conventional or supercritical PF coal-fired plant provides electricity with its fuel cost being about half of its electricity costs. A CCGT plant burning natural gas has its fuel cost as almost all its electricity cost because its capital and operational costs are very low. Hence, economics does decree that a new power station will probably be CCGT because initial return on capital is high. So, as coal plants reach the end of their lives they will probably be replaced by CCGT plants burning natural gas. But reaching the end of its service life is not the only reason why a coal-fired plant may be closed. Closure of coal-fired power stations by tighter emission constraints with probable replacement by new CCGT is similar to throwing away a 2-year-old Ferrari and buying a Ford because the Ford has better miles per gallon. The saving from operating the replacement is less than the loss of what was replaced. So, are the US coal-fired plants being closed because they have reached the end of their operational lives or because of tighter emission constraints? Thanks for that link. That’s an especially compact summary of how the US is being driven and led deeper into socialism. E.M.Smith succinctly summarizes the depth and breadth of the creeping socialism that most of us uneasily sense and catch glimpses of …but struggle to put the pieces together into a coherent and comprehensive picture. The new coal plants are VERY clean. The major issue here is that while coal and natural gas can be used, natural gas is MUCH better used for heating in your city. NG is easy to distribute as compared to coal hoppers everywhere. And the major capital required for coal to make them burn clean is available on a large scale for electric generation but NOT for heating in your home! It makes LITTLE sense to burn up natural gas for electricity when we have coal. If we burn too much natural gas then the cost of home heating goes up SIGNIFICANTLY AND this hurts fixed and lower income people. SAVE the natural gas for home heating and KEEP the costs down that will result in millions of people paying LESS for that natural gas. Using more coal means keep the NG heating costs down for millions of consumers that now rely on affordable natural gas. Natural gas is MUCH better for home heating. Coal is much better for electricity and as noted really does not pollute with modern equipment anyway (assuming people here see CO2 as beneficial plant food). MOST important is using both products to keep natural gas costs down. Most consumers and buildings in cities now much rely on natural gas for home heating – they cannot switch to coal. Producers of electricity can use coal and should do so BEFORE choosing natural gas. Choosing natural gas based on co2 output is brain dead – the result will be many more people becoming “poor” due to rising natural gas costs. If it is any consolation, our idiots in government in Britain are engineering the same situation. We are closing our coal-fired power plants, by order of the EUSSR, belated thought being given to what will replace them. We also face the prospect of rolling blackouts next winter. Germany, meanwhile, is building more coal-fired power stations to keep the lights on. It seems the same rules do not apply to all. Yes E.M. Smith gives the best explanation I have ever seen. That is why I have it book marked. I write to support your post at January 11, 2014 at 10:07 am. Gas can be piped so is easily distributed to points of use when used for heating buildings. This is very efficient because all the heat from burning the gas is then used for the heating. All the gas is used. But the best CCGT gas-fired power stations operate at ~60% efficiency. So, the effect of using the gas to generate electricity is similar to throwing away more than a third of the gas. Gail see this about Mercury. You need to specify whether it is ‘failure of the grid’ or ‘rolling (forced load shedding) blackouts’ in such conjecture; the two are not the same. Perhaps one does not recognize the energy consumed in running required ancillary equipment, such as fans, compressors, friction losses in the turbine including ‘air’/gas turbine compression losses, misc. heat losses etc. There are unavoidable ‘losses’ (which sometimes turn out to be required ‘processes’ e.g. the energy required in a gas turbine to ‘compress’ the incoming air or in a coal plant the required coal-feed conveyor belts, air-feed fan system, etc) no matter the generation system. A case study for this is the cold snap in the Southwest (incl. Texas) in February of 2011, where gas pressures dropped so low of the consuming public that gas-powered furnaces failed to function. Perhaps you don’t have a clue what you are talking about. Either that or you lack ability at reading comprehension. Pumping gas along distribution pipes does need compressors but their operation is more than accounted in my saying “more than a third”. And I don’t know of any home heating system which uses e.g. “turbines” and there are no heat losses from the heating system when it is inside the house. Why would we prevent warming, unless it really is going to be extreme? The most prolific eras of paleohistory were sitting at about 10°C warmer than now. If we were in danger of causing a sudden shift to that level, the disruption would be considerable for a while, but there’s no sign of such video game-style “tipping points”. Prepare for cooling, and pray it doesn’t happen. My observation (having been involved some years back around the operations end of a utility that operated gas-fired and nuclear generation but no coal, though we did have other industry data) was that – apples to apples – natural gas plant O&M was considerably cheaper than coal-fired. The fuel-handling equipment was nugatory compared to all the conveyors, pulverizers, etc., you didn’t have mine debris turning up in the equipment, the fuel quality was consistent and easily measured and so burner operating conditions were easier to control. So even an old coal-fired generating unit that’s long paid off its capital cost likely still has significantly higher maintenance expenditures than a comparable gas-fired unit even before you talk fuel cost, emissions retrofits, etc. Of course, a combined-cycle plant introduces additional machinery complexities and a learning curve for the company and its staff and contractors, which may or may not impact its availability and O&M cost. Every sort of system you can envision has losses. If you’re burning gas for heat in a building, any heat that goes out the flue is lost potential energy. If you’re heating water and using that water for heat, then any heat that water gives off to the surrounding air or other materials in non-living spaces is lost. At the same time, if you are implementing a separate and parallel infrastructure (e.g. gas pipelines, distribution facilities and low-pressure distribution piping) the cost of building and maintaining that infrastructure is also ‘waste’ that needs to be factored into any comparative calculation. Use of electricity for area heating is generally quite inefficient, but it can be ‘targeted’ to small applications better than most other forms. Very interesting post. The paper itself seems to deserve the “ho-hum” reaction it got. The discussions of the economic and technical aspects of using natural gas fueled gas turbines was much more interesting. In that regard, Richard Courtney’s comments should be very helpful to those not familiar with peaking and combined cycle use of gas turbines. The graph he references only goes back to 1983. at $3.97 per 1000 cubic feet. Only 12 years before, in 1971, the San Antonio electric utility, (now called CPS Energy) had a long term contract for natural gas at less than $0.30 per 1000 cubic feet. re your post at January 11, 2014 at 12:21 pm. Yes, of course, as you say, the competitive cost of any plant or system is unique so needs to be individually evaluated. But that is not what we are doing – or could do – in this thread. In this thread we are discussing overall effects. CCGT is clearly the most economic choice for new power generation plant at present. But it seems extremely unlikely that in general new CCGT provides cheaper electricity than old PF which has payed-off its capital cost. That is certainly not true in the UK. If it is true in the US then I would like to see the evidence. Also, I have not yet obtained a reply to my above question; viz. But you seem to be suggesting the coal-fired plants are being scrapped to be replaced by CCGT because the CCGT plants are so much more competitive than existing PF that this is economic. Frankly, if you are suggesting that then I need much more information to be convinced of it. And I challenge you to demonstrate that using gas for space heating is more energy efficient than using it for space heating. Frankly, unless pipe leaks are ridiculously high, I don’t think that is possible. Ouch. I’ve done it again! When Richard says: “But the best CCGT gas-fired power stations operate at ~60% efficiency. So, the effect of using the gas to generate electricity is similar to throwing away more than a third of the gas.” he must not be cognizant of of the energy budget in a turbine, specifically, what the energy requirements to compress ‘air’ in the 1st, 2nd , 3rd etc compressor stages en route to the combustor … That energy is part of the CODB (cost of doing business) in a gas turbine. Not all of the 1/3 of the energy not seemingly utilized is simply a pure ‘waste’ product. I strongly suggest you go to an elementary school to learn how to read. For the third time, THERE ARE NO TURBINES IN HOME HEATING SYSTEMS. The gas is burned in the home to provide the heat. THERE IS NO TURBINE. Perhaps not a turbine but there is a fan. That’s why they call it a “forced-air” natural gas furnace. Without a fan you can’t distribute the heat throughout your home. The furnace burner will not ignite (not the pilot light, which is always on – the main burner). There are real heat losses from a home heating system. It occurs during the delivery of the heat to the entire home. The result is some rooms (often those closest to the furnace) are over-heated relative to others (usually those the furthest away from the furnace). The result is the thermostat is increased to produce the desired warmth in the areas where the house is used most (e.g. kitchen). Heating loss within a home due to improper sealing of the ductwork can be significant, especially in modern homes where they use thinner walled ducting and often don’t seal the connections. The problems with older homes are poor insulation, lack of vapour barrier and drafts around windows and doors. Quite true and well said. But the question being addressed was between using gas in a power plant to make electricity or burning it in the home. The issues you raise would affect domestic heat in the same way, whether the heater was electric or gas. The 30%-40% inefficiency has already happened at the power plant before the issues you raise affect both forms of domestic heat generation. I would appreciate any enlightenment on this that you could provide on this. Thanks. Thankyou for your comments at January 11, 2014 at 2:10 pm and January 11, 2014 at 2:10 pm. Firstly, yes, technically a fan is a turbine but it is not a gas turbine CCGT as _Jim keeps discussing. Indeed, any energy expended to operate the fan is released as heat within the heated building so is not lost. Secondly, there will be some loss of heat up the flue when using gas to heat a building, and this is true loss from the heating system. More important is gas leaks in the gas supply to the building. Any heat lost from the building is a problem with the insulation of the building and is not a loss from the heating system itself. The loss would be the similar however the building was heated. None of this affects the simple truth of what I said; i.e. In other words, given the choice of using gas for home heating or to generate electricity then choosing to generate electricity is – in effect – throwing away a third of the gas. That is true. In a self-contained natural gas (actually propane) home heating system the propane is in a pressurized tank and does not require a pump or electricity to flow. If you have a propane stove you can cook without power but you have to manually start the burner (with a match). You can’t use the oven without electricity, however, because the burner is enclosed and operates on a temperature sensor. But, if you lose power you can pull your stove away from the wall and connect the 110 VAC cord (in Canada) to a small generator and cook yourself a turkey (which we did this Christmas). This is tougher on an electric stove which needs more electricity. A propane stove probably needs about 700 Watts peak. The problem with self-contained propane for heating is the electric fan requirement in the furnace to distribute the heat. There are propane-fired generators but their cost of use is reportedly three times diesel, which itself is about 3-4 times what you pay for delivered electricity from the grid. I always felt that the people who deliver your electricity know how cheap it is and so they come up with other schemes to increase the rate knowing you will not switch off-grid. I pay a “delivery fee” for my electricity that is almost the same as the cost of the electricity. And it’s still cheaper than being off-grid (in cold Canada). Sorry Richard. That was too fuzzy for me. Given the choice of using gas for home heating (in Canada natural gas is far cheaper than electricity for this purpose) or to generate electricity then choosing to generate electricity (?). I think you mean delivering gas to a house and then using that gas to generate electricity. That is very inefficient. Many people also take electricity and then use that to generate heat – also very inefficient. The cheapest method in Canada (generally) is to heat with nat gas and take your electricity from the grid – even if you have to grab some ankle. Sorry, but your post at January 11, 2014 at 2:49 pm changes the subject. Your information on a “self-contained natural gas (actually propane) home heating system” is not what was being discussed. Your information is useful and I know its importance because some rural areas here in Cornwall are not on the distribution system for gas and dwellings in those places use such systems. At issue was the difference between using piped natural gas (methane) to buildings for heating or using that gas as fuel to power stations which generate electricity. But the information you provide is interesting and may be useful to some. Steve from Rockwood – are you in an urban centre or a wood cabin in the middle of nowhere? Canada is big. I live in Gloucestershire, England, and the nearest city is within 50 miles of anywhere within my county. The “delivery fee” for my electricity is virtually negligible. Of course! It is reasonable to expect the electricity to be connected near to me. But if the nearest large centre of population was 300miles away then I might have a different view. I did not know my father was going to respond to you. Please don’t think we Courtneys are ganging up on your comment. It was pure coincidence.- we aren’t in proximity and nor are we in communication (outside of WUWT). Sorry Richard. That was too fuzzy for me. OK. I will try to do better. The energy efficiency of a system is the proportion of the energy which is used. So burning gas in a building to heat the building is 100% efficient. All the energy from burning the gas becomes heat used to heat the building. But the most efficient electricity power station is a CCGT plant and it is only 61% efficient. Only 61% of the energy from burning the gas becomes energy in the form of electricity. The other 39% of the energy is lost, mostly from the cooling towers of the power station. I really do not know how to explain it any more simply than that. Re: shutting down of existing coal fired power plants. To the extent that those plants are still in cost recovery–that is, in the rate base until all costs are recovered from the rate payers–they will remain in the rate base even if shut down. This is the basic deal that utilities have with the states that regulate them: They take a specified rate of return, which they may not exceed, and they get to include their approved costs in the rate base to set the rates their customers pay. A plant that is not fully paid for, but is shut down for environmental reasons, will remain in the rate base, even if it is not generating electricity, until it is paid for. So customers will pay twice for the same capacity–the shut down plant, and also the new plant to replace it. LSE- nice bit on your resume Richard, congratulations. Two things. One: doesn’t proprietary tech have a ~ 20yr ownership life? Two, I would say leaving it on the shelf, it is foregoing further development that would (I don’t even say might) make it even more economic and versatile – maybe sewage might be a partial feedstock (I’m reaching here, but you get my point). I am answering your post at January 11, 2014 at 3:27 pm concerning propriety rights to the LSE process. Yes, you are right that IPR has a 20 year life (or 30 year life depending on where you are). But that is not relevant in the case of LSE. As I explained in my post which you are querying, details of the LSE process are a UK State Secret. And nobody wants to fall foul of the UK Security Acts. I can outline the process. Indeed, a paper on it was commissioned from me by UNESCO. The basic process is as follows. Hydrogen is obtained from coal using a water-gas shift. The solids from the water-gas shift and additional coal are dissolved in a solvent. The solution is hydrogenated at elevated temperature and pressure in an ebullating bed containing a zeolite catalyst. The proportions of generated hydrocarbons are decided by temperature, pressure and residence time in the bed. The obtained hydrocarbons (i.e. the syncrude) are separated from the solvent by lowering the temperature and pressure. The solvent is filtered to remove any residual solids which can be burned (e.g. in a fluidised bed combustor) to provide heat for the process. The filtered solvent is circulated back to step 1. That summarises what the process does but tells nobody what they need to know to build and operate a functioning LSE plant. Important information is missing from each of stages 2, 3 and 5. Even the apparently simple but missing information is not easy to obtain by reverse engineering; for example, perfection of the filter of Stage 5 took years. I hope that answers what you were asking. I agree with the inefficiency of burning gas to generate electricity to in turn heat your home. In Canada where gas is available alongside electricity we all go with gas heating. I follow the comments in reverse order sometimes so “apologies” if off-topic a bit. We are charged a “delivery fee” just like everyone else regardless of where we live. It is another way for the government to say the price of electricity is low (at $0.07 per kWh) when in fact your total bill (cost + delivery + taxes) is closer to $0.20. Delivery fee is just a percentage of your use of electricity. Much like the “debt reduction charge” for past capital expenditures that had significant cost over-runs (think nuclear). I enjoy your father’s (rather prolific) posts. Had no idea you were related. Recall you came to my defense at one time. Cheers to both. My 1947 Triumph 1800 Roadster and 1959 Jaguar XK 150S say “hello from Canada”. English cars. Once you get them started there’s just no stopping them. You would think this a basic right, access to electricity. Further, you would think the government owned utility would do their best to keep costs down. After all why try and make electricity so expensive when it is there for the public. I live about 15 km (10 short English miles) north of a town of 100,000 and 68 km from Toronto, our largest city. Most of us locally have from 10 to 100 acres or so and we all have electricity. When I first moved here 10 years ago my electricity bill was $300-$400 CAD per month. Back then we didn’t have “delivery fee”, “debt reduction charge”, “green energy rebate”, or HST (harmonized sales tax). Now we do and my tax bill has increased to $500-$700 per month. You have a 1947 Triumph 1800 Roadster! And it still runs! Wow! Envy does not describe the degree of my emotion. The best I ever managed was a Triumph Herald. Best wishes from the tip of Cornwall in the UK. For those in France hang onto your wallets. I also had a Triumph Roadster a long time ago when I was at Nautical School in Leith studying for my Second Mate Certificate. Use of electricity for area heating is generally quite inefficient, but it can be ‘targeted’ to small applications better than most other forms. Exactly. As an engineer, I understand costs/efficiency. Electric heat is indeed inefficient, but I turn my whole-house (fuel oil) heat way down & use a .8 to 1.6 kW electric heater right at my feet exactly where it’s needed, instead of heating a whole room top to bottom. So electric heaters have their uses if used properly. You might be interested in this development Mr Hart.